Indulge in playful, contemporary chic with the iconic watch collection from British designer Radley. Pretty and gorgeously feminine, this ladies' watch from Radley makes an elegant style statement. Finished with a stylish skinny stranp and removable charms for that unique touch. 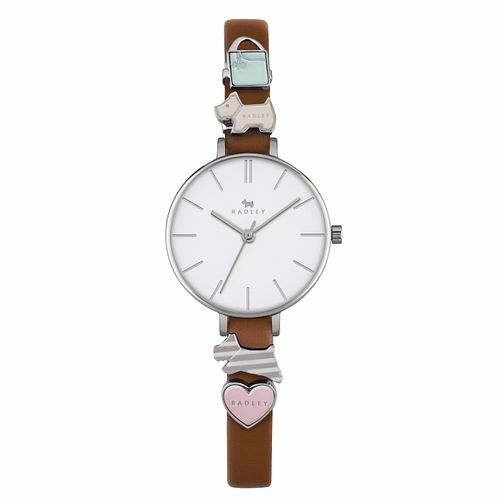 Radley Ladies' Charmed Tan Leather Strap Watch is rated 5.0 out of 5 by 1. Rated 5 out of 5 by Anonymous from Beautiful watch with adorable charms. Elegant and beautiful watch with adorable charms..